13h00. 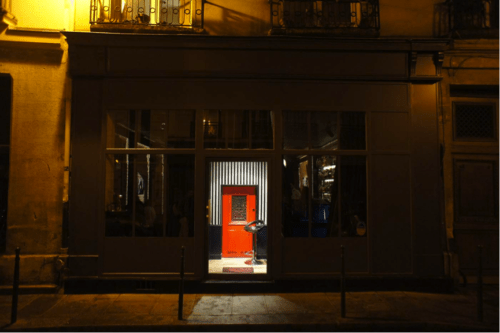 I enter the cozy enclosure of the Little Red Door, one of the best bars in Paris. When I passed the red door, Rory Shepherd, the bar-manager/bartender welcomed me. He is a warm and tall man, with this red beard that gives him that little Anglo-Saxon feel. Immediately, he puts me in the mood: gives me a kiss, puts me on the counter and offers me a drink. He hands me the cocktail list. The menu, very stylish and colourful, features 11 drinks based on “11 values”. Rory explains to me that she was inspired by a study by a certain Dr. Scharwtz, which lists the 10 universal values: power, success, tradition, hedonism… a principle that is applied to the letter at Spirits Hunters! Spirits Hunters: why choose only 11 cocktails? Rory Shepherd: From the beginning, there have always been 11 cocktails on the Little Red Door menu, and we wanted to keep this tradition alive. However, Dr. Scharwtz’s study speaks of 10 “values”: we have chosen to add one to distinguish ourselves, and mark our footprint. Rory Shepherd in front of the famous red door. Tell me more about your personal experience as a bartender. I lived in London for a very long time but I am from Scotland. I met my girlfriend there, who is French (I don’t agree on the subject, for fear of being indiscreet). We started by coming to Paris to see his family and friends and then we came more regularly to explore the city, which we love so much. I was a little reluctant to move to Paris because of the language and the job. But in the end, my life here is beyond my expectations: it is a diverse and very open culture. The lifestyle is very cool and I like the French bartenders‘ circle. In addition, I find the French welcoming and kind (I am quite surprised by this answer). 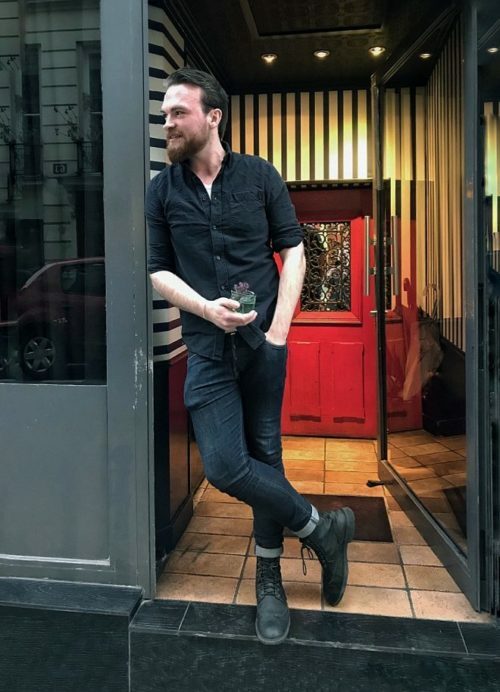 How did your integration into the Parisian bartending world go? Very easy! (Laughs) When I started in Paris, I was bar manager in the Ballroom and I immediately felt that people were very comfortable in my presence and very receptive. In London, the circle is much larger. It’s smaller and more family friendly here: we all know each other. How do you explain the notoriety of the Little Red Door? It’s all about the fact that we’re not pretentious: we’re a young team, we roll up our sleeves and remain natural in all circumstances. As only 50% of our bartenders speak French, we are obliged to be pleasant, and above all to remain humble. Front of the Little Red Door. If you could catch a plane tomorrow, what bar would you go to and why? For the incredible atmosphere and the fact that I haven’t been back in a long time, I would go to Oslo in the Himkok. Otherwise, I would fly to Singapore and visit the Tippling club, the Mahnattan bar and many others (I admit I took it unawares with this question). Which cocktail do you prefer to make? And the one you prefer to drink? I like to drink and make the “Cobbler” cocktail. I like this style of cocktail with lots of fruit: the classic is based on Sherry. Which spirit do you prefer? I’m Scottish! (Laughs) So without a doubt, I answer Scotch whisky! However, I really like brandy. What ingredients do you use that make the difference in your cocktails? Our secrets… when we make a cocktail, we do not follow the doses prescribed by traditional recipes. 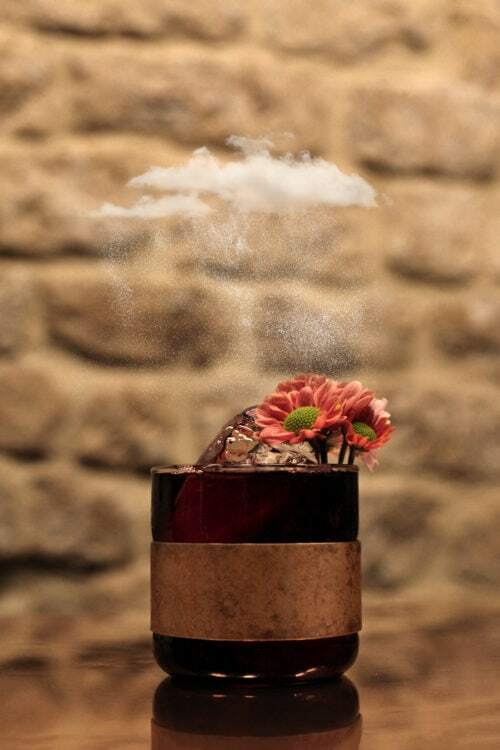 We do not use any pre-established structure: we make cocktails according to the taste and flavours on the palate. As a result, the doses vary from the original recipe. That’s what makes us more creative! What are the positive and negative points of your job? The positive points of Little Red Door are the team and the chance we have to be fully creative. We take time to make our menu according to our concept of “values”, while respecting everyone’s opinion. The negative point is that I manage three bars at the same time: Little Red Door, Bonhomie and Lulu White Drinking Club. And I also have a future project. Actually, I’d like to spend more time here. Can you tell us about this future project? We are discussing the potential opening of two bars outside Paris. But, I can’t tell you any more….